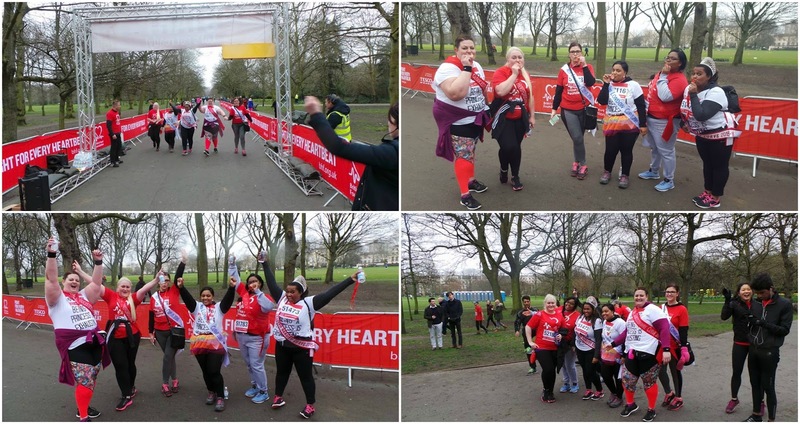 When Emma suggested that we get a team together of Pageant girls to take part in a 10k Charity Run for the British Heart Foundation, I paused..."Could I? Run? Me....Nah! I don't run....but I could try and walk it!" I took part in a 5k walk before and it wasn't too bad so, I signed up. The longest I have ever walked was roughly 4 miles, so to push myself out of my comfort zone and walk an extra 2 miles on top of that would be a challenge. Soon we had a team of +Miss British Beauty Curve Princesses ready to get involved. 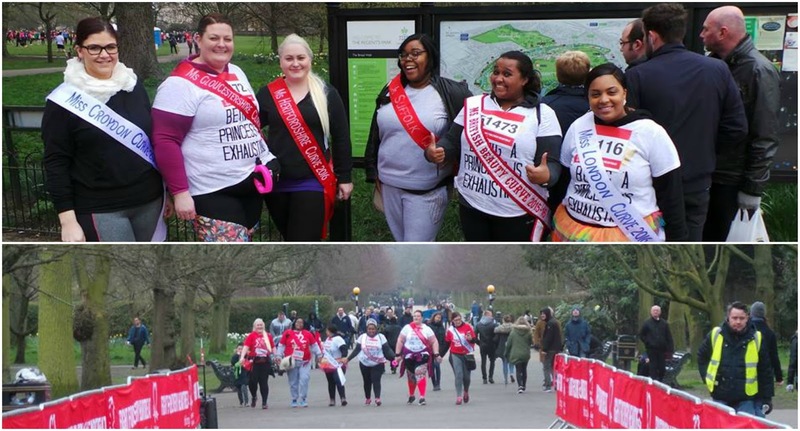 We aptly thought of a catchy name "The Princess March for People's Hearts" and set about fundraising as a team. A few of us bought T-shirts from Yours Clothing sporting the slogan "Being a Princess is Exhausting"
We all wore our sashes proudly, I even wore my Crown the whole way round! We each individually set up fundraising pages to raise money and they fed into a team fundraising page. We each had a target of £100 each and we are still collecting. If you want to you can sponsor any of us here. Our team at the beginning of the walk and us walking hand in hand towards the finish line. I'm so proud of my girls, it wasn't easy. It was a long walk, we were one of the last batch of people out the gate and we were the last to finish. BUT WE DID IT THOUGH! 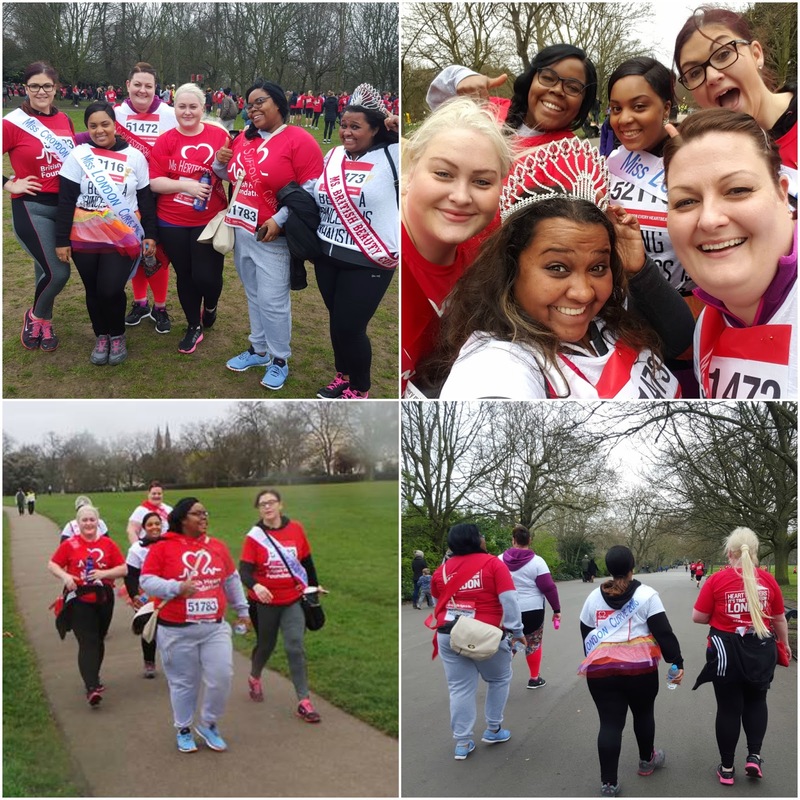 We marched through the rain, some of us ran a little, one of us only signed up to do 5K but with team support we managed to get her through the full 10k! I would like to offer a huge thank you to anyone who took the time to sponsor me, your donations are greatly appreciated.